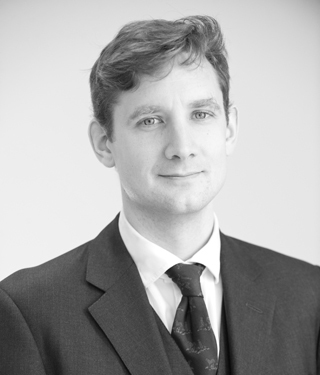 Edward specialises in criminal law. He defends and prosecutes, predominantly in London and the Thames Valley and on the Western Circuit. He is regularly instructed in cases involving conspiracy, serious violence, dishonesty, drug supply, public disorder, sexual offences and proceeds of crime/confiscation. Edward is a CPS Panel Advocate at Level 3. Woolwich Crown Court (2017) – prosecuting a home invasion robbery involving the false imprisonment and assault of the victim. Central Criminal Court (2017) – prosecuting a theft and fraud concerning a rare and valuable vintage sports car. Portsmouth Crown Court (2017) – defending a lorry driver accused of deliberately trying to run over a cyclist. Warwick Crown Court (2017) – prosecuting a multi-handed conspiracy to steal involving 5 members of the same family on a spree of burglaries and thefts. Portsmouth Crown Court (2017) – defending one of 2 brothers accused of assault and burglary of their father’s address. Aylesbury Crown Court (2017) – prosecuting an assault where the victim was repeatedly stabbed in a sudden and random attack by her friend. St Albans Crown Court (2017) – prosecuting a multi-handed conspiracy to steal copper wiring from empty NHS buildings. Edward regularly advises on appeals from the Crown Court. Reported Court of Appeal judgments include R v Coombs  All ER (D) 144 (Sep). Edward grew up in England and Belgium, attending French speaking, international schools. He studied history at undergraduate and postgraduate level at the Universities of Edinburgh and Sussex before law at the College of Law and Kings College London. Edward is a member of the Western Circuit.